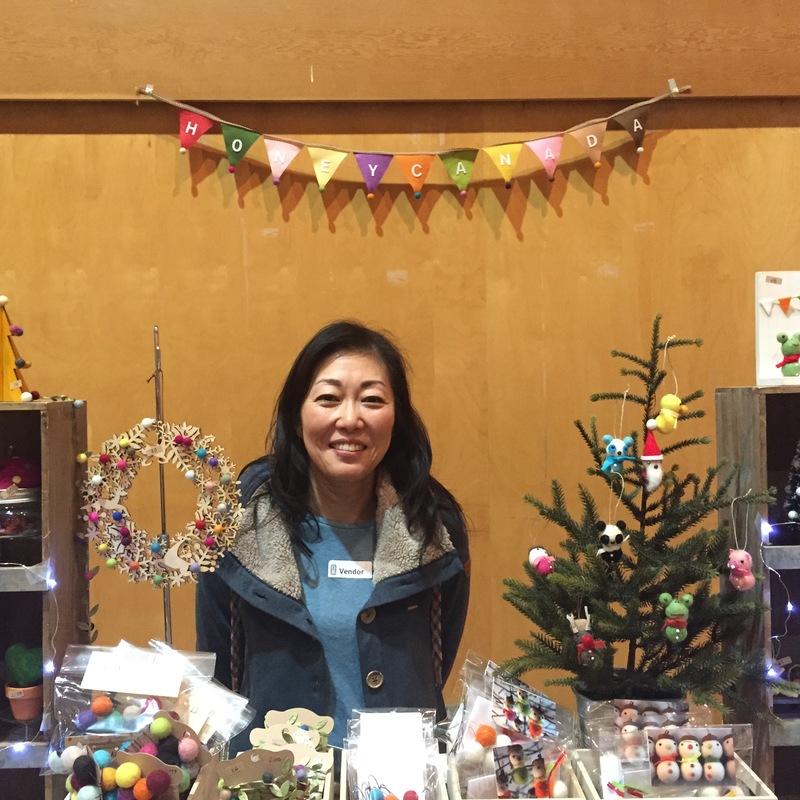 I found out from my friend Honey Canada that there was going to be a small craft fair at the Nikkei Center, aka Japanese Cultural Center, this weekend. Karla and I were excited, 2 craft shows in a weekend?? 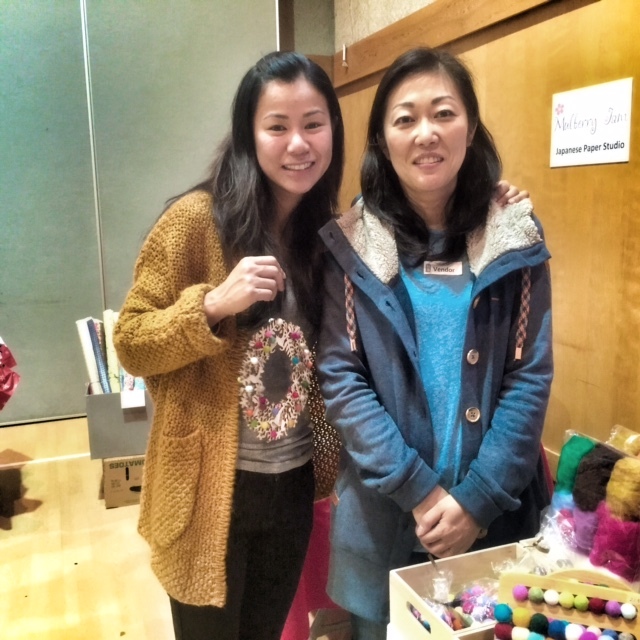 Not only that, a Japanese craft fair called Craft and Bake?? The food was surely going to be delicious! So yesterday morning, we slept in, woke up late and lazed around the house until our tummies grumbled and begged us to get out of the house. 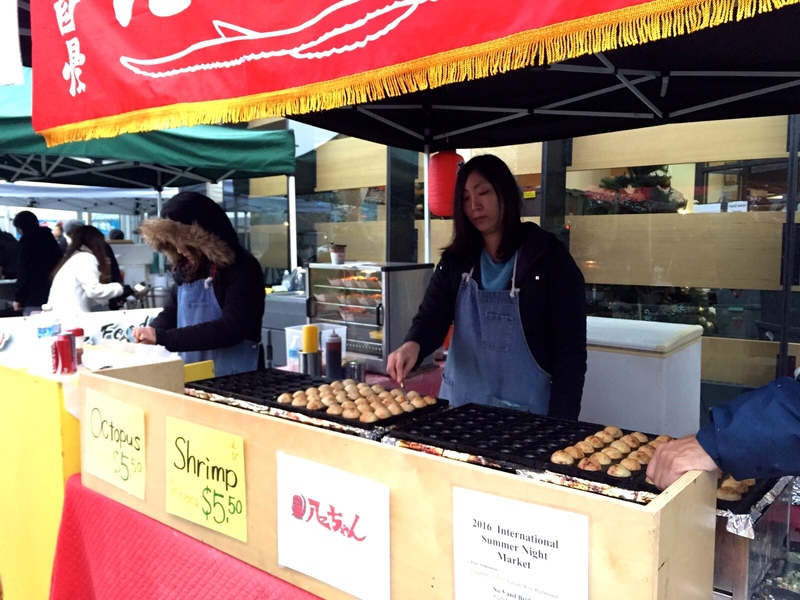 We drove our hungry bellies over to Burnaby to discover a row of Japanese food stalls awaiting us outside the Nikkei Center. The weather was miserable. Cold and wet. 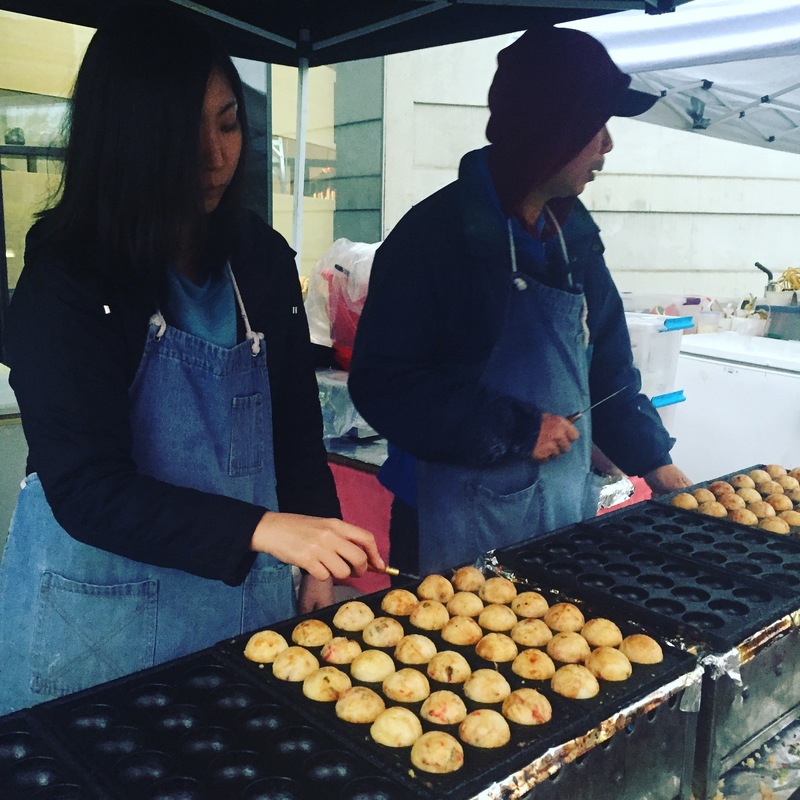 But the food stalls serving up hot, Japanese street food were like rays of sunshine brightening our otherwise dreary day. Even the weather couldn’t dampen our excitement, nor our appetite for that matter. Ramen stall! Yes, we thought it was incredible too. We ordered the Negi Shio ramen. 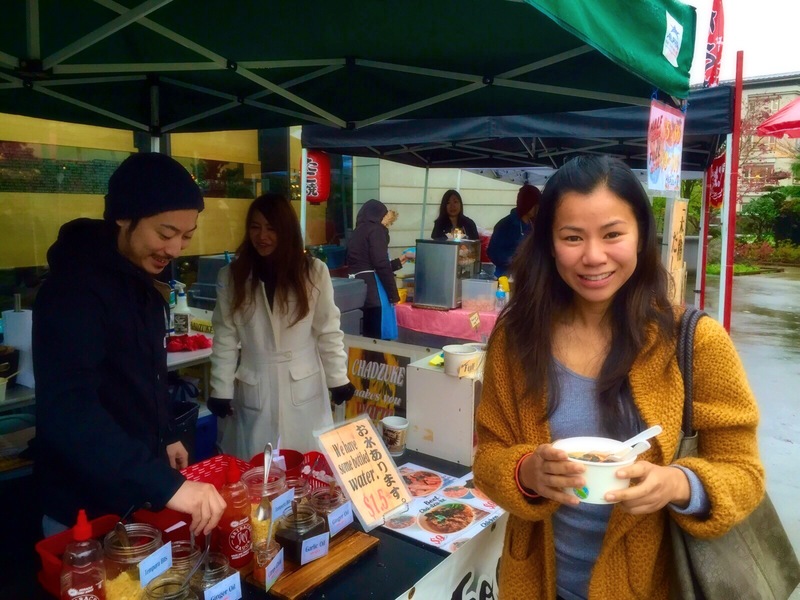 Given that this is a food stall without a working kitchen, the ramen noodles were so good!! Totally spot on with the texture and bite that I always look for in my noodles. In fact, I thought their noodles were even better than the noodles we had at G Ramen the day before. 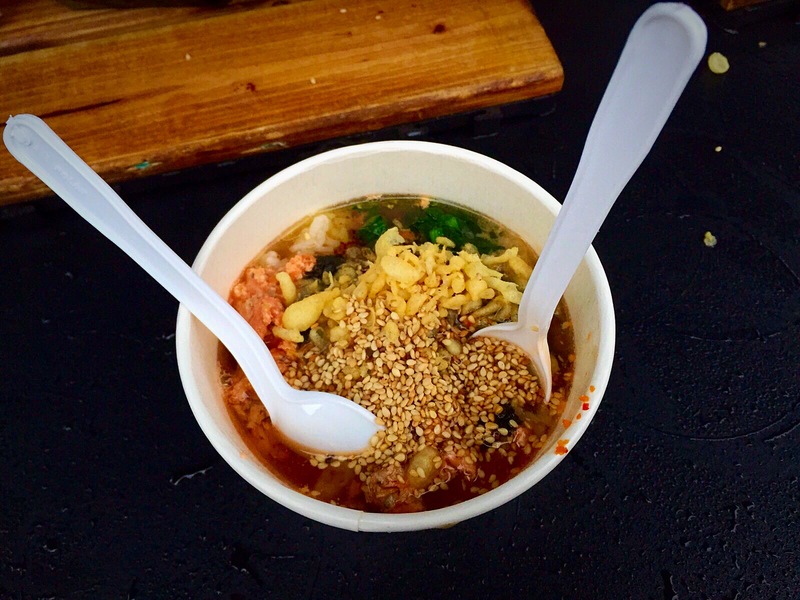 As for the broth, well, it’s forgivable since this was just a food stall. Satisfied, we finally made our way into the crafts section to look for my friend Honey Canada. She makes these miniature adorable felt creations that embody the Japanese kawaii, or cuteness, culture in true form. 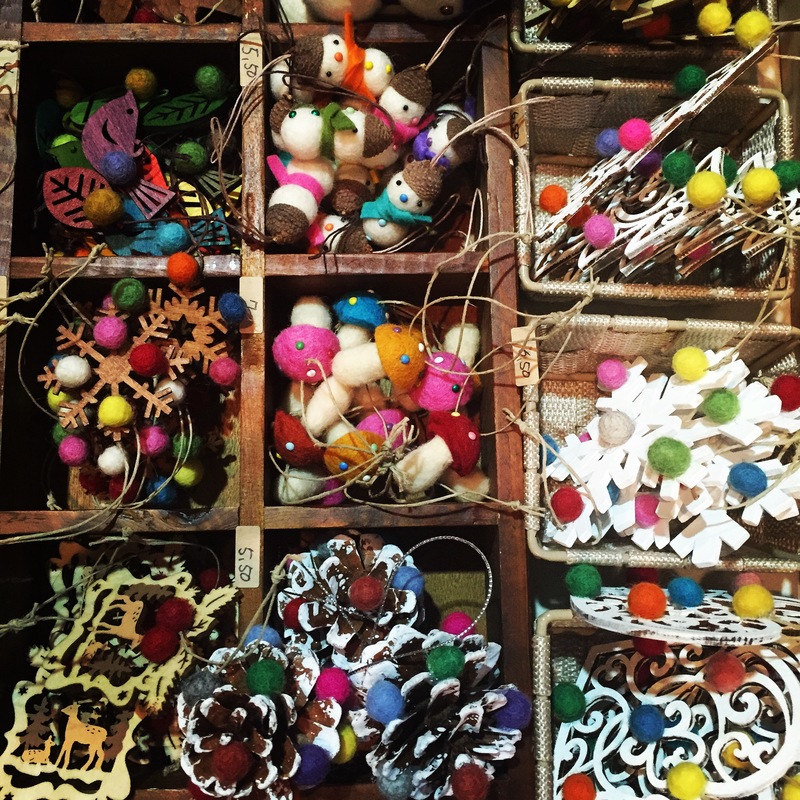 Wouldn’t you love to have these kawaii little snowmen and kawaii animals hanging from your tree? What about these kawaii 3 peas in a pod? I just drooled over the cuteness of it all. This year she’s combined laser cut technology with felt in her ornament designs and I think it’s absolutely brilliant. 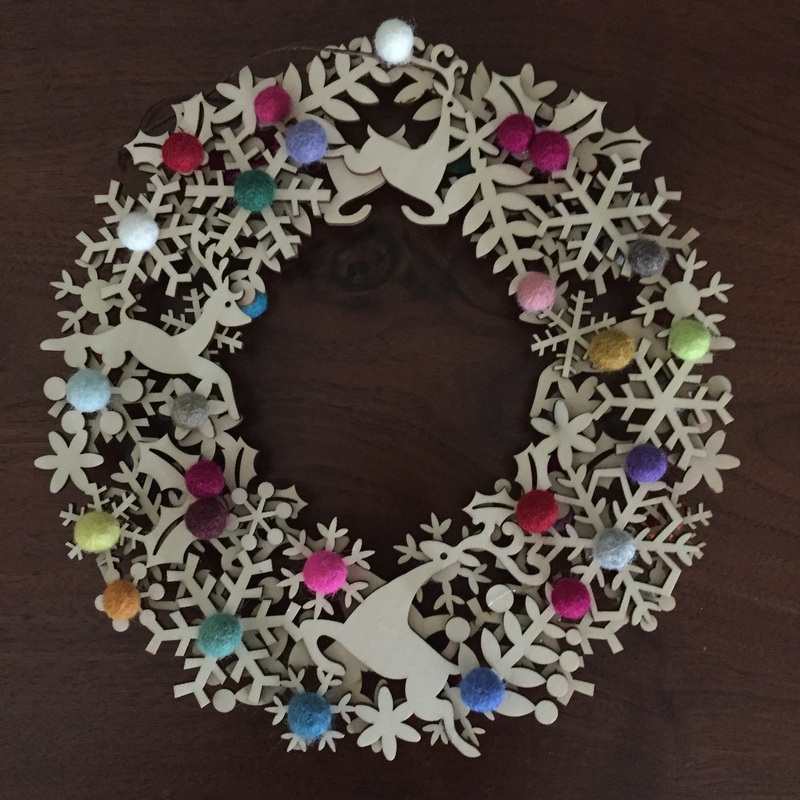 She surprised me with a laser cut wreath with felt balls for my birthday. Thank you, Yuki, I absolutely love it! I can’t wait to start putting up Christmas decorations now. Okay radio stations, bring on the holiday music because I think I’m finally ready. Next article Who Cut The Cake?